Vegetarian? 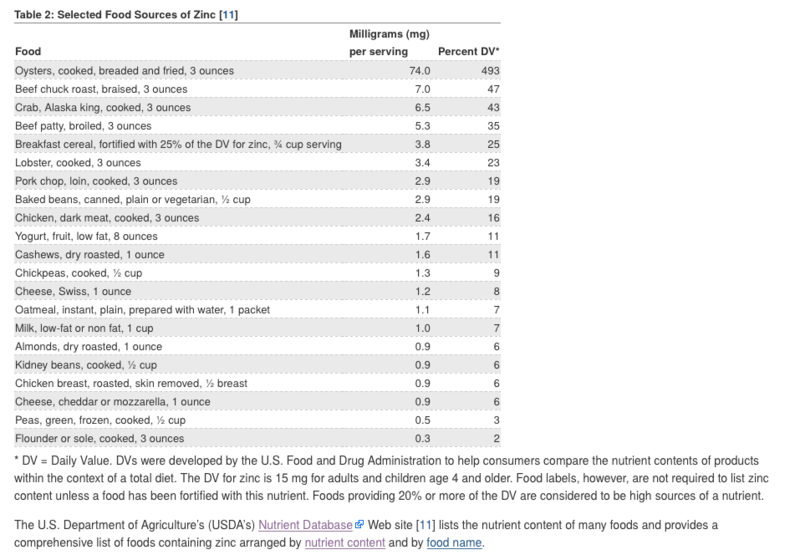 Make sure you get enough Zinc! If you are vegetarian or on a mostly meet/fish/cheese free diet, you are at risk of not consuming sufficient amounts of zinc through your food. According to the US NIH (National Institutes of Health), the groups at risk of zinc deficiency include: vegetarians, people w. gastrointestinal & other diseases, pregnant & lactating women, older infants who are exclusively breastfed, people w. sickly cell disease, and alcoholics. The bioavailability of zinc from vegetarian diets is lower than from non-vegetarian diets and in addition, vegetarians typically eat high levels of legumes and whole grains, which contain phytates that bind zinc and inhibit its absorption. The best common plant sources of zinc are legumes, nuts, seeds, and oatmeal. As stated above, phytates, which are commonly found in plant foods, can reduce zinc absorption, and some researchers have suggested that this increases the zinc needs of vegetarians by up to 50 %.